Solomon dedicates the Temple, and the Israelites rejoice. 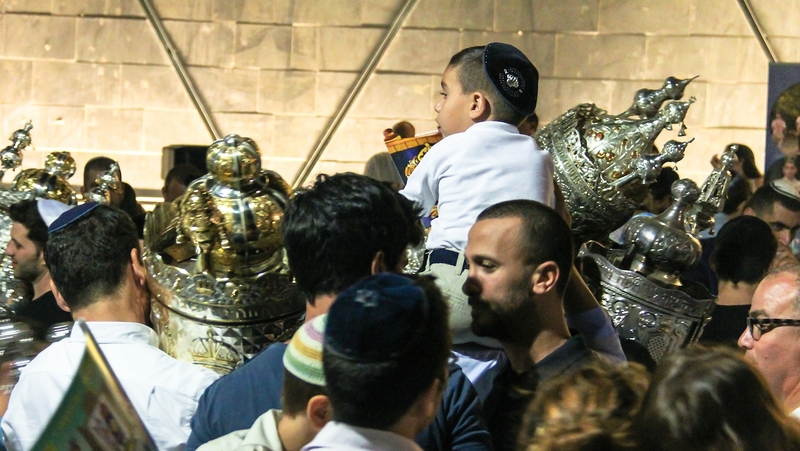 Special ceremonies for ending and beginning the Torah cycle. A time to dance with the Torah. A new identity for the second day of Shemini Atzeret.